This time my girlfriend and I flew to Cleveland, OH to pick up my new Tesla P90D Model S with Ludicrous mode. This was an inventory car as a result of the fire-sale last quarter to show profitability. As such I got a great deal. Ordering was really easy. Click a button on the site, give credit card info, money comes out of account and car is held. You indicate how you plan on paying the remainder and complete a leasing or lending application online if you choose not to just drop a stack of bills or personal check. Tesla contacts you, mine was within a few hours, to tell you that you are approved or denied and if leasing they present you with lease options and you tell them which mileage you want. 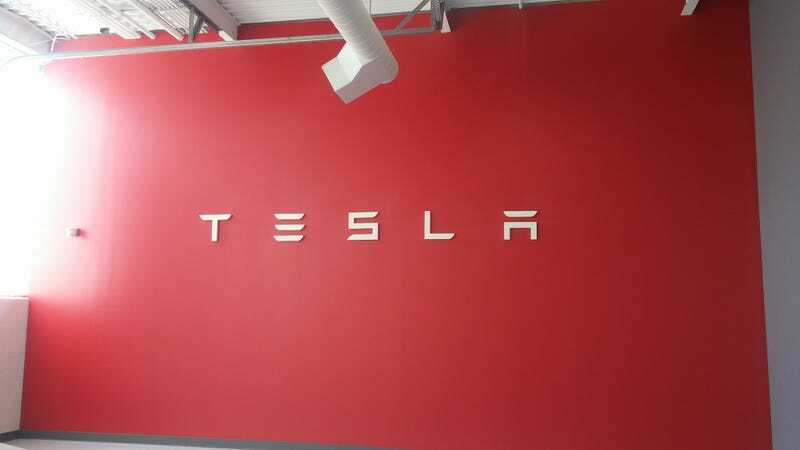 Next comes the filling in of other information on the Tesla site such as Insurance, Driver’s License, Delivery Location and there is information there about charging and eventually your payment due at delivery. I completed all of this very quickly as we thought I might need to fly to Chicago on Sept 10 to pick the car up to make the deal happen, I reserved two days prior. Needless to say the car could not be prepped in time but more about that later. At some point during this process, usually after the order is confirmed and delivery center selected you are assigned a Delivery Specialist. In my case I got two different ones since Tampa was my home address and Tesla changed my delivery center. This whole portion went smoothly up until the week of delivery when I was presented the updated term sheet from my Delivery Specialist in Cleveland, Jeff. the numbers were double what I was originally quoted and the miles on the car had increased by almost 480. I just about lost it and there was a scramble on Wednesday, October 12 to try and get someone to fix the numbers. Jeff contacted my other Delivery Specialist, Tesha, yes I had two, here in Tampa to have her fix the numbers because my Owner Advisor, Kevin, was out of the office I believe, as was the Tesla Corporate Finance advisor, Tim. The numbers came back and they were still a bit off and there was no new discount for the additional miles. Furthermore, I had paid my cost due at delivery to speed things up on Saturday, which turned out to be an over-payment by almost $400 which now takes 5 weeks to come back to me. This certainly did not feel like a $100k+ car purchase. The staff was very friendly and answered as many of my questions as they could. I am leasing this as I worried Elon would do something like come out with a new autopilot right after I bought it, which he did. We flew into Cleveland on Friday, Oct 14 and took a shuttle to our hotel for the evening. the next morning my second Delivery Specialist, Jeff, picked us up from the hotel and took us to the service center and store. At the Tesla location Jeff brought us to the lounge for coffee and water then checked on the car. He came back to get us a few minutes later and around the corner we went and I saw Aurora for the first time. Really, I mean for the first time, you never get any pictures or anything until you take delivery. I looked at the car and walked around it. As this was an inventory car, there were a few tiny rock chips Jeff pointed out. He also pointed out a scratch in the wheel and as such I am getting a brand new wheel; there was a scratch in the other wheel that was touched up so I am having my service center here look at it but it was noted. Scratches on the driver mirror cap so that is being replaced. also, we found scratches in the hatch so those panels are being replaced. I made Jeff note all these items and the rock chips I discovered as again not being dinged for any of this when I turn the car back in. On our drive back I also noticed a scratch in the leather that has been noted and a broken slider on the HVAC vent. Then came all the paperwork such as the leasing documents, insurance confirmation, due bill, FL registration, temporary tags, etc. they give you a fancy Tesla pen to complete all this with. After signing everything it was time for our walkthrough. The have an Orientation Specialist, ours was Ted, take you through everything on the car. this includes every screen on the touchscreen and how to control each and every function. Ted showed us how to open and close the frunk and the hatch operation and how to program custom heights. Both my girlfriend and I were shown and then asked to try removing and plugging in the charging cable. This whole process took about another 30 minutes or so. I had them charge the car to 100%, typically you only do 90% to protect the battery, due to our road trip. After this was complete, back to the lounge while they tidied up the paperwork looked over the car once more and then brought it around front; we asked for a brief look at the Model X while we waited. It was then time to hit the road. This car is completely different than anything else I have ever owned. One you are amazed at how many people look at it in traffic, around town, and on the highway. also, it is very easy to drive despite it being 5,885 lbs. It feels heavy but not that heavy. Steering inputs are direct and the car just moves. I did not just floor it any time during our journey home as we were concerned about range, but my girlfriend did switch it to Sport from Ludicrous and mash the pedal on our way to the charger. We left Cleveland around 3pm after we realized that the Indians were home in a playoff game so that killed some lunch plans. We continued to Columbus and grabbed lunch at a little dive bar that had awesome burgers. We should have grabbed food at the supercharger in Grove City but instead we only charged there for 15 min then off to Cincinnati to charge, covered below. From the Cincinnati charger we continued rolling to Louisville for the night. During this first leg we really got to experience AutoPilot. I don’t trust version 1.0 just yet. It is amazing though. I used it as much as possible on the long highway drives. The system does a great job generally, it maintains the lane and even handles transitions and bumps smoothly without any type of jolting. When lines are faded though it starts to drift ... very quickly. The AP 1.0 system seems to look for the line so it starts moving toward a line or where a line should be. This can get scary. I will be honest, a few times I did look away and take my hands off the wheel, but generally I kept one hand on loosely at all times. This was a wise move because I had to “catch” the car 2x and then one time a car directly next to us drifted out of their lane as we were passing and I quickly overrode the system. I am very curious to see the new advancements in the system and excited for the future. Overall, AP made the drive easier. I could stretch my arms and relax just a bit. The system also generally handled curves in the road well but I always held the wheel and felt myself directing the car a bit. The new safety updates to the car are great to keep people from abusing AP. The screen flashes and then beeps and then goes wild with alerts if you don’t grab the wheel and will disable AP for the remainder of the drive; it does not auto disengage from what I could tell but it is loud and annoying. The system seems to vary when it alerts you to hold the wheel depending on speed, traffic, and time of day as I noticed it was asking more often at night. We were testing to see how long the alerts took. Also, you need to really place your hands where the image shows at 10 and 2/9 and 3 position. o the stop. The moment you let off the accelerator you can feel the regenerative braking start. One picture from the National Corvette Museum because why not. This is the one of the biggest things to get used to. Many of us fill up whenever we stop at a gas station. With the Tesla, it tells you, if using the trip planning on the map, where to stop and charge. It tells you how much battery you will have when you get there in a percentage fashion and how long you need to charge there to make it to your next destination. Charging a Tesla is like charging a cell phone. If you are using a supercharger, that is all the car will account for when using directions, then it charges faster when closer to empty and slows as it fills, again to protect the battery. This means if you are at like 10-20% you get to 80% in less than 40 minutes. Often you can gain 100 mi with just a 15 min charge. Most superchargers are located in areas where there is shopping and food, some are at service centers, and some are just in weird spots. We met a few people when we stopped and everyone was super friendly. We did “fill” the car 2x during our trip both during longer legs and when we knew we were going to be eating lunch or dinner. All the other owners we met said you should “burst” charge basically charge just over what you need to get from charger to charger. This worked out really well as we often needed to get out and stretch or use the restroom. so you typically won’t be doing a 300+mi stint in the Teslas right now. Now for a few charging pictures. The car is amazing. I look forward to driving it. the technology is really something. Are there issues, certainly. Does the car weigh an insane amount, yes. Do I feel like this is not a driver’s car or that an enthusiast will not enjoy it it. NO. I drive this through the twisties in Loretto, KY and it was great. Switched the steering to sport and lowered the suspension down and just had a blast. I am looking forward to the time with this car. FYI the car does lose charge sitting so it should remain plugged in when at home. this is because it is constantly checking for updates and possibly lowering the interior temperature etc.